NYF values every donation we receive, and we strive to implement our funds as efficiently as possible. 77% of the money we accept is used to help needy children in Nepal. 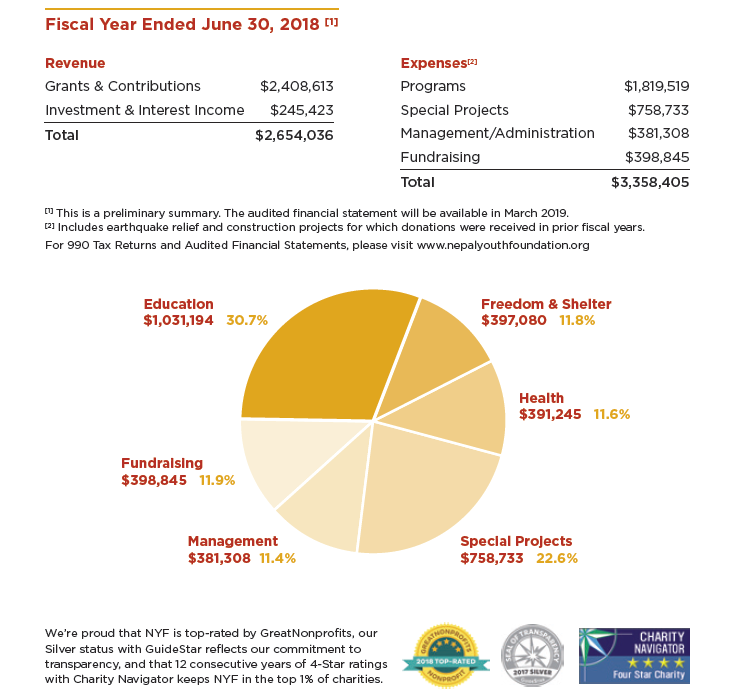 Only 23% is spent on administration and fundraising, which includes processing donations, applying for grants, and staying in contact with our donors.